Connect is a collaborative youth ministry sponsored by several area Lutheran congregations. 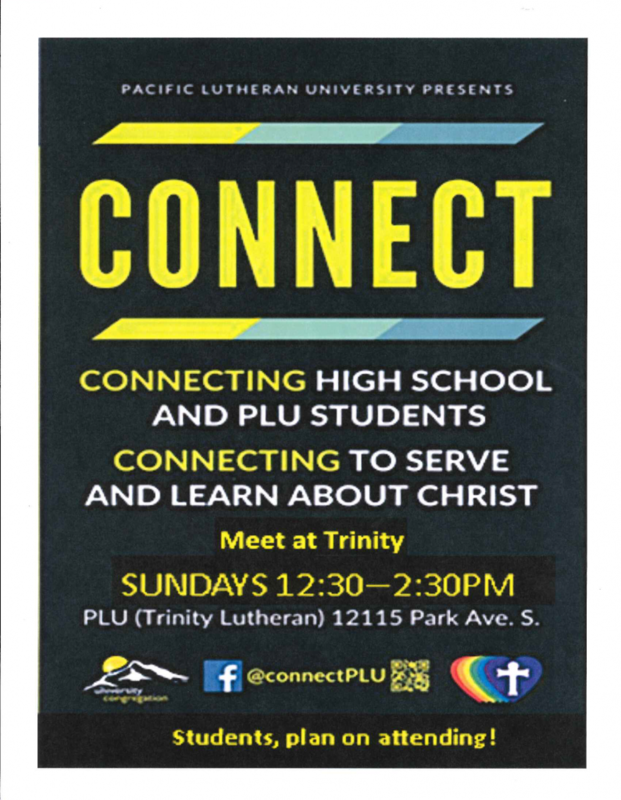 We meet at Trinity Lutheran (located across the street from PLU) on Sunday afternoons from 12:30 to 2 pm. Lead by a talented team of five PLU students, activities include a eating a meal together, worship, Bible study, and many other fun activities. There is no charge to participate. God loves us unconditionally, and through Jesus Christ, we are brought into relationship with God. Living out our faith in Jesus Christ through joyous service to others.